A while ago I came across the term English long draw. I saw a video by Longdrawjames where he showed and explained the English long draw and the importance of good carding. With this technique you build up the twist in an unspun piece of rolag while pinching the yarn with your spinning hand, pull the rolag back and unpinch the spinning hand, build up twist and then the yarn roll onto the bobbin in one smooth motion. Ruth McGregor has made a beautiful and relaxing video where it all looks really easy. She also shows how to hand card. Amanda Hannaford of mandacraft also made a great videos that shows and explains the technique. As with all spinning, the preparation is crucial. You need to be able to make even rolags with your hand carders. If you leave uneven parts in the rolags, the spinning will be more difficult and the yarn will be equally uneven. And with uneven yarn, the twist will be uneven, making it more difficult to ply and risking lots of unintentional pigtails in the thinnest sections. I have spun with this technique for a while now, but rather on a Navajo spindle than on a spinning wheel. If you look closely at Navajo spinning (at least the way I do it), you can see that it is the same technique. In this video I show the technique, especially in the slow motion section. I do tend to build up my twist in slightly bigger chunks of the rolag. Then I add twist in arm length sections, but otherwise it is practically the same. A few days ago I decided to finally try it on my spinning wheel. It was a bit tricky at first, but after a while I got the hang of it! And Voilá! A yarn is spun! In my experience, the English long draw leaves a more even yarn than with what to me is a traditional long draw (or does it have another name in comparison to the English?). The draw is longer and you have more control of the process. I also believe that I can get a more controlled rhythm with the English long draw. A 3-ply sport weight yarn spun with English long draw from hand-carded rolags. 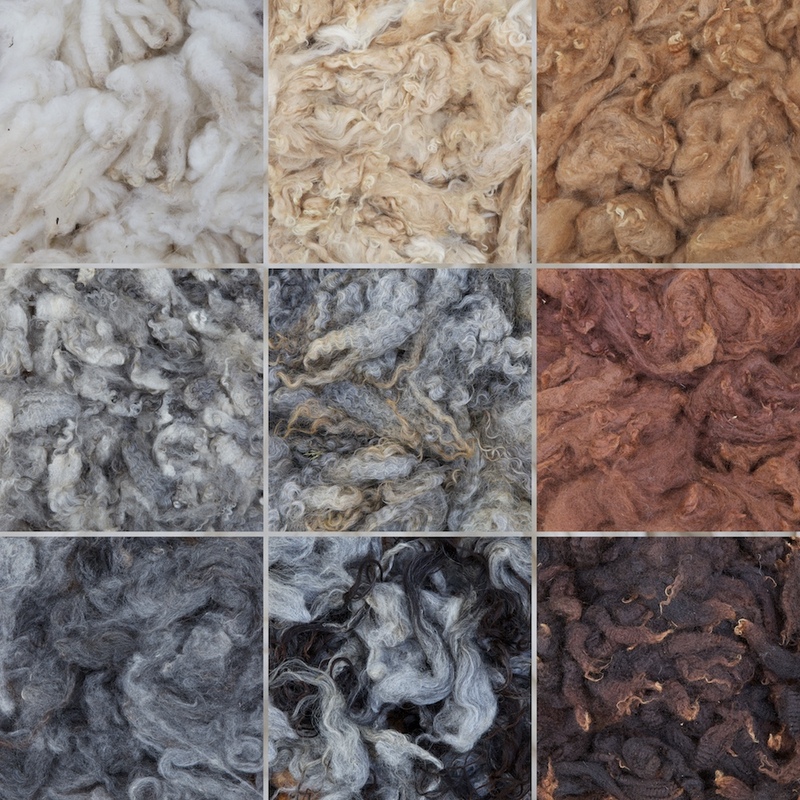 The wool is combing leftovers from Shetland sheep (Eskit).